Cats Protection’s Mature Moggies Week (13-17 November) is almost over and we hope that it has convinced you to consider adopting an older cat. These older feline companions take four times longer to home than their younger counterparts, but have just as much love to give. 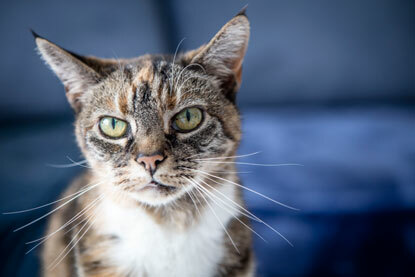 If you still need some more encouragement then take a look at these lovely stories from proud owners of senior kitizens, discover how ‘older cats’ might be younger than you think and see the benefits of owning a mature moggy over an energetic kitten. 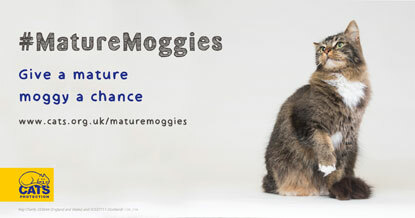 You can also learn some top tips for caring for cats aged 11 years and older by taking the mature moggies quiz! Holly can be a little shy until she gets to know you, then she likes a fuss. She has been known to sit on laps but needs to build up a bond with you first. We understand she can be fearful of children and would prefer to be the only pet in the household. 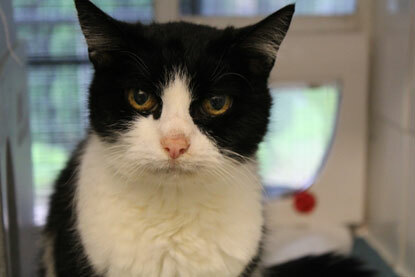 Squish is a mature lady who is looking for a quiet home with no children or other pets. Once she gets to know you, she adores a fuss and is always ready for a cuddle and a snooze in front of the TV. Her ideal owner would be someone like her who enjoys a calm environment. Cheeky is a friendly girl but doesn’t like a fuss and will come up to you in her own time. She’d be an ideal pet in a quiet household with no children or other pets. Cheeky craves adventure so a home with a garden to explore would be ideal. 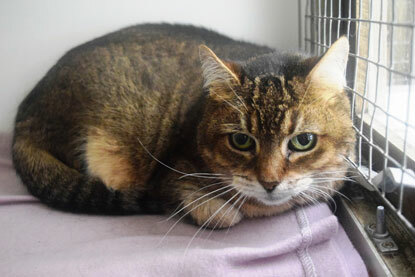 Simbi is looking for a loving new home after her owner passed away suddenly. At 15 years young, Simbi plays more like a kitten and displays impressive ping pong dribbling skills. She is a real character, always pleased to see you and often adopting a ‘ballerina’ pose with one leg in the air. Simbi is on medication for thyroid issues, but takes this well. She is also deaf so would benefit from a secure outdoor space to laze around in. Simbi with would best suit a home with no other pets. Mishka is wonderfully young-at-heart. 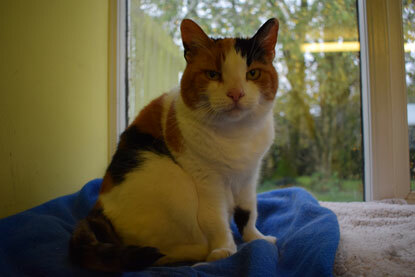 She is a friendly feline who has previously been a faithful lapcat, but came into care after her owner emigrated. She has no medical needs and would be best suited to a home with no children or other animals. 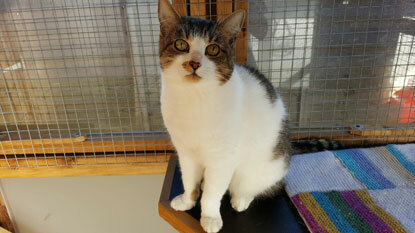 To find more mature moggies waiting for their forever home, visit the Cats Protection website.